WordPress at UW–Madison is a website for WordPress users and developers across campus. Download the official themes, subscribe to the campus mailing list and find other helpful resources. 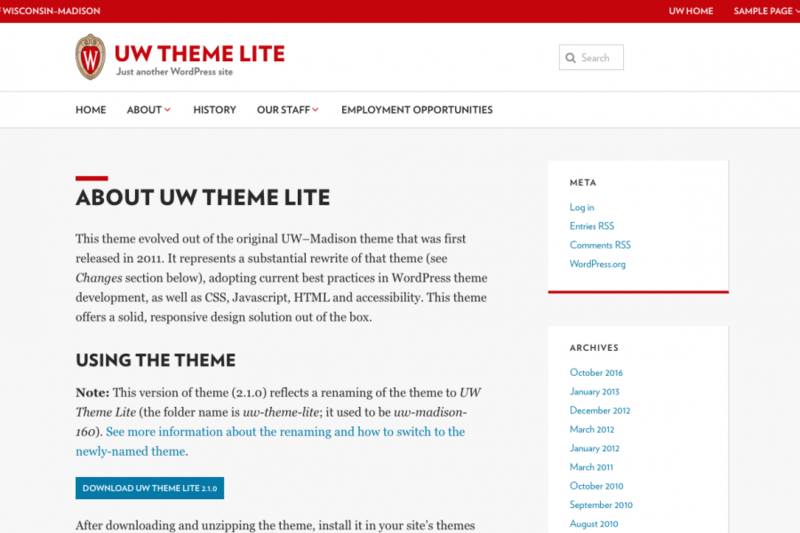 UW Theme offers everything UW Theme Lite does — built-in UW–Madison identity, colors and type, plus basic header, menus and footer—plus the Page Builder for designing rich page layouts with a large variety of content types. UW Theme Lite is a simple WordPress theme well-suited for classic blog sites and other sites with simpler content and design requirements. 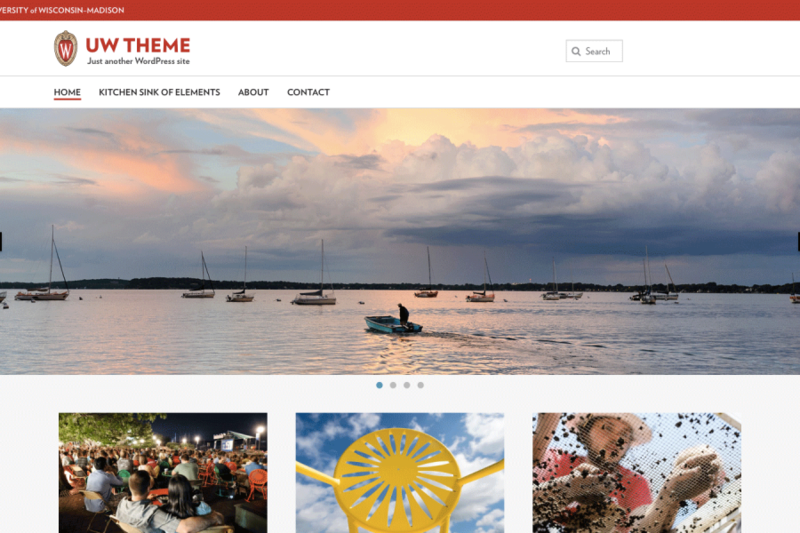 It provides a UW–Madison look and feel, including standard header, menus and footer. Feedback, questions or accessibility issues: wordpress@umark.wisc.edu.